Published: March 14, 2018 at 08:53 a.m. Updated: March 16, 2018 at 02:46 p.m. The Chicago Bears found a new caddy for Mitchell Trubisky. Good Morning Football's Peter Schrager reported Wednesday morning that the Bears expect to agree to terms with backup quarterback Chase Daniel. The team made the agreement official Wednesday evening. NFL Network Insider Ian Rapoport reported the expected deal is for two years and is worth $10 million with $7 million guaranteed. Rapoport added the deal is voidable after Year 1. Making the second year voidable aids Daniel's career-long quest for a starting gig. If, for example, the QB finds himself thrust into a Nick Foles situation where he takes over after a Trubisky injury and shines (every Bears fan on the planet furiously knocks on wood after reading that thought), Daniel could hit the open market. Always the bridesmaid, never the bride, Daniel has bounced around the NFL the past nine seasons as a solid backup -- making pretty good money to hold a clipboard. The closest the 31-year-old came to a starting gig was in Philadelphia in 2016, before the Eagles decided to ride then-rookie Carson Wentz. In Chicago, Daniel, who spent years as Drew Brees' backup, will help mentor Trubisky and familiarize him with the new offense. The veteran has experience with new Bears coach Matt Nagy, who spent three seasons as Daniel's QB coach in Kansas City. The Daniel signing should mean the end of Mark Sanchez's run in Chicago. The ex-New York Jets QB is a free agent. The Bears also released Mike Glennon, wide receiver Markus Wheaton and cornerback Marcus Cooper. Glennon is signing a two-year, $8 million deal with the Arizona Cardinals, Rapoport reported. The Bears are also expected to sign former Falcons wide receiver Taylor Gabriel to a four-year deal worth $26 million, with $14 million guaranteed, a source told Rapoport. The former undrafted speedster has averaged 33 receptions during his four-year career. He was ranked No. 67 on NFL.com's Top 101 Free Agents of 2018 list. 1. The New York Giants are expected to sign former Patriots left tackle Nate Solder to a four-year deal worth $62 million, with $35 million guaranteed, a source told Rapoport. Solder, who will become the highest paid offensive lineman in the NFL, was ranked No. 14 on the Top 101 list. Former Cardinals outside linebacker Kareem Martin is also expected to sign with the Giants, according to Rapoport. 2. The Philadelphia Eagles announced they have re-signed linebacker Nigel Bradham. Rapoport reported the deal is for five years and $40 million. Bradham was ranked No. 24 on the Top 101 list. 3. The Miami Dolphins reached an agreement with quarterback Ryan Tannehill to restructure his contract, in effect giving the team more salary-cap space, a source informed of the situation told Rapoport. Tannehill will receive a $16.7 million signing bonus upfront and minimum base salary instead of a $17.4 million base salary. Miami also retained defensive end William Hayes on a one-year deal, Garafolo reported. 4. The Buffalo Bills have signed AJ McCarron to a two-year deal, the team announced. 5. Former Green Bay Packers wide receiver Jordy Nelson is scheduled to the Seahawks and the Saints after he visits the Raiders on Wednesday. 6. The Buffalo Bills are expected to sign former Washington Redskins linebacker Trent Murphy to a three-year, $30 million contract, Rapoport reported. Murphy was ranked No. 75 on the Top 101 list. 7. The Cleveland Browns are expected to sign former Chiefs cornerback Terrance Mitchell to a three-year, $12 million deal, according to Rapoport, per a source. Former Detroit Lions tight end Darren Fells is also heading to the Browns on a three-year, $12 million deal with more than half guaranteed, a source informed of the situation told NFL Network's Mike Garafolo. The Browns are expected to sign former Raiders safety T.J. Carrie, Garafolo reported. It's a four-year, $31 million deal with $15.5 million guaranteed, Rapoport reported. 8. The Jacksonville Jaguars are expected to sign former Lions cornerback D.J. Hayden to a three-year, $19 million deal that includes $9.45 million guaranteed, Rapoport reported. Jacksonville will also host tight end Austin Seferian-Jenkins, who left his visit with Seattle on Wednesday and headed to Florida, per Rapoport. 9. The Tennessee Titans have re-signed guard Josh Kline to a four-year, $26 million deal that includes $12 million guaranteed, a source involved with the contract told Rapoport. Kline was ranked No. 66 on the Top 101 list. 10. Tennessee also agreed to a multi-year contract with defensive end DaQuan Jones, the team announced. Rapoport reported the contract is for three years and $21 million, with $14 million guaranteed. Jones, the No. 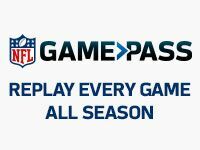 40 free agent on NFL.com's Top 101 Free Agents of 2018, is a gap-plugger who thrives doing unheralded work, helping the Titans finish fourth in the NFL against the run in 2017. 11. The New York Jets are expected to sign former Washington Redskins center Spencer Long, a source told Rapoport. 12. The Detroit Lions are nearing a deal with running back Frank Gore, per USA Today's Mike Jones. 13. Former Chiefs offensive lineman Zach Fulton is heading to the Houston Texans on a deal that averages roughly $7.5 million per year, a source told Rapoport. 14. The Lions announced they have re-signed linebacker Nick Bellore and cornerback Nevin Lawson. Detroit also announced it re-signed quarterback Jake Rudock. 15. The Dallas Cowboys issued a second-round tender to defensive tackle David Irving, who is a restricted free agent after recording seven sacks in eight games in 2017. The tender is worth $2.9 million. 16. The Los Angeles Chargers announced they have re-signed offensive tackle Michael Schofield to a two-year contract. 17. Former Titans running back DeMarco Murray is visiting the Seattle Seahawks on Wednesday, a source told Rapoport. 18. The Kansas City Chiefs re-signed defensive end Jarvis Jenkins, per his agent. The Chiefs also signed linebacker Terrance Smith and wide receiver De'Anthony Thomas, the team announced. Rapoport reported Thomas turned down $1.5 million more elsewhere to stay in Kansas City. 19. The Tampa Bay Buccaneers announced they have re-signed safety Keith Tandy to a two-year deal. The Bucs are also expected to sign former Jets kicker Chandler Catanzaro, a source told Garafolo. 20. Former Jets tight end Austin Seferian-Jenkins is planning to visit the Seahawks, Rapoport reported. 21. The Denver Broncos are expected to sign former Vikings cornerback Tramaine Brock to a one-year deal, NFL Network's James Palmer reported, per sources. 22. The Oakland Raiders re-signed tight end Lee Smith, NFL Network's Tom Pelissero reported, per a source. 23. The Jacksonville Jaguars are expected to sign former Detroit Lions defensive back and core special teams player Don Carey, Rapoport reported, per a source. Carey, who spent the past seven years with the Lions, played for the Jags from 2010-11. Jacksonville is also expected to sign former Redskins tight end Niles Paul, a source told Garafolo. 24. The Cincinnati Bengals are expected to re-sign punter Kevin Huber to a three-year contract, a source told Garafolo. 25. The Broncos are bringing back linebacker Todd Davis on a three-year deal, the team announced Wednesday. The deal is worth $15 million with $6 million guaranteed, Rapoport reported. 26. The Chargers are signing blocking tight end Virgil Green to a three-year, $8.6 million deal with $5.9 million guaranteed, a source told Rapoport. 27. The Indianapolis Colts are expected to sign former Raiders defensive end Denico Autry to a three-year deal worth $17.8 million, a source told Rapoport. 28. Former Bears offensive guard Josh Sitton is scheduled to visit the Dolphins on Wednesday, Pelissero reported, per a source. 29. Former Seahawks tight end Luke Willson is visiting the Carolina Panthers Wednesday evening, Garafolo reported. 30. Linebacker Demario Davis is signing a three-year, $24 million deal ($18 million fully guaranteed) with the New Orleans Saints, Pelissero reported. 31. Former Saints offensive lineman Senio Kelemete is signing a three-year, $12 million deal with $5.5 million guaranteed, Rapoport reported. 32. Quarterback Tom Savage is heading to New Orleans, agreeing to terms with the Saints, his representation announced. Savage's deal is for one year and $1.5 million, with a $100,000 signing bonus, Pelissero reported. 33. Former first-round pick Barkevious Mingo is signing a two-year deal worth $10.1 million with the Seahawks, Rapoport reported. 34. Tackle Andre Smith agreed to a two-year, $8 million deal that can be worth up to $10.2 million with incentives with the Arizona Cardinals, Pelissero reported. He will receive $2.585 million guaranteed, Rapoport reported. Lineman Justin Pugh is also visiting the Cardinals on Thursday, Garafolo reported. 35. Cornerback DeShawn Shead signed a one-year deal worth $3.5 million that can grow to $6.5 million with incentives, Rapoport reported. 36. Guard Joe Berger has offers from the Vikings and Lions, but is seriously weighing retirement, Pelissero reported. 37. The 49ers announced they agreed to terms with linebacker Brock Coyle on a three-year deal. Former Giants center Weston Richburg signed a five-year, $47.5M deal with $28.5M in guarantees with the 49ers (he gets $16.5M fully guaranteed), per Rapoport. 38. Bruce Ellington is returning to the Texans on a one-year deal, Rapoport reports. 39. Saints free agent pass rusher Alex Okafor, who is recovering from a torn Achilles, is visiting the Buccaneers on Thursday, Rapoport reported. 40. Ravens free agent center Ryan Jensen, who visited the Buccaneers on Wednesday, is set to visit with the Colts on Thursday, Rapoport reported. 41. Former Detroit Lions defensive tackle Haloti Ngata is visiting the Eagles on Thursday and will likely sign if the trip goes well, Rapoport reported.